There is a certain letdown after the holidays. The presents have all been opened, the family has dispersed and it's depressing to realize yet another year has gone by, and you still haven't lost that 20 pounds, learned how to speak Outer Mongolian or written the Great American Novel. But another big letdown is when you sit down to watch a film (or worse yet, go out to a theatre and pay your hard-earned money), and it turns out to be a stinker. For movie lovers, this is especially bad. So Rosy the Reviewer is on the case. Here are some really bad films that you need to avoid unless you like to torture yourself. I'm embarrassed to say that I even saw these. And these are the ones I saw. I am sure there are more really bad films from 2015 that I haven't seen (thank the lord), so be careful out there. As for these, don't say I didn't warn you. 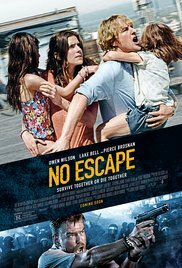 The first "Taken (2008)" film was fine. Liam got to show his action hero chops. 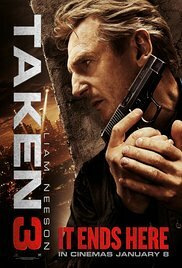 "Taken 2 (2012)" was pushing it a bit, and you know how I feel about sequels. But "Taken 3?" C'mon people, no one is even taken in this film...except maybe Liam, as in "taken the money and running!" There have only been two movies in my whole movie-going life that I could not sit through. One was "The Best Little Whorehouse in Texas" - and the other was this mess. I like Kevin James and the first "Mall Cop" had its silly charms, but this one was just unwatchable unless you have a thing for chubby guys riding around on segways. 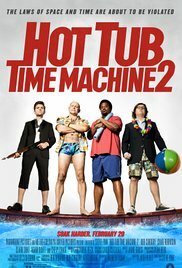 Like Paul Blart, the first "Hot Tub Time Machine" had some laughs. The concept was funny and it had John Cusack in it, for god's sake. Cusack wisely declined this sequel which should have never come back from its time traveling. I'm even embarrassed to say I watched this thing. I don't know why, but it seems every comedian and comic actor needs to prove they he can be dramatic. This is Owen Wilson's stab at it and, Owen, let me give you a little advice. Stick to comedies. 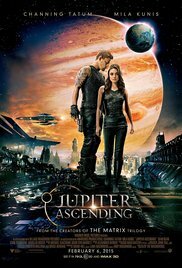 If you look at the movie poster, that is the entire movie right there. Owen running around trying to escape with his family with that ever-present open mouth expression that looks like he is going to say "Dude..." at any moment. For me, remakes are as egregious as sequels. Why remake a movie that was perfectly fine the first time around? So take my advice here. 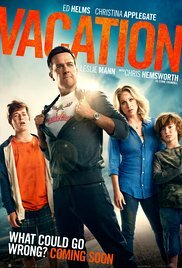 See the original "Vacation (1983)." If you see this one, you will be the one needing a vacation! When I reviewed this, I said that Eddie should give his Oscar back. I'm still mad at him for his performance in this stinker. Channing Tatum's pecs can't even save it! 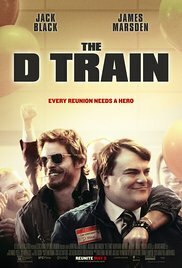 Jack Black can be really funny and James Marsden is really handsome and this movie could have gone somewhere except for the "ew" factor which ruined the whole thing. This film gives a whole new slant to the "buddy film." And it didn't really even make sense. I couldn't even bring myself to review it. I don't want to reveal the spoiler in case you don't believe me and are bound and determined to see this thing. But if you want to know, you can read this synopsis. This deserves to be on the Worst List for the title alone. 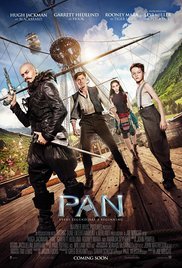 The critics almost unanimously "pan'd" it. Get it? C'mon, I have to have a little fun. Reliving these turkeys is depressing enough! 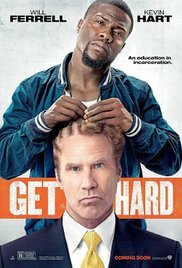 How can a movie starring Kevin Hart and Will Ferrell NOT be funny? Well, it wasn't. What clunkers did YOU see in 2015? I am chuckling over this list. 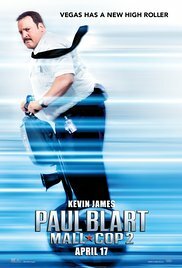 Mall Cop 2? Not to say I would not see these but probably from the library. AND now I have your blog to check to avoid wasting money at the movies!! 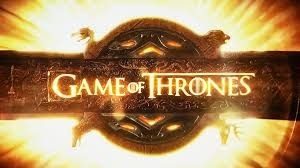 What I Have Learned from "Game of Thrones"
Thomas Wolfe Was Right: "You Can't Go Home Again!" Retirement: Do Dogs Ever Retire? "O Brother, Where Art Thou?" "Fear of Dying (Book Review)"
Copyright Rosy Brewer 2013 . Powered by Blogger.